Herd will be eligible for selection for Chennaiyin FC’s Indian Super League tie against FC Pune City on Saturday 2nd February 2019. “Chennaiyin FC is a new challenge for me and one I am genuinely excited about. 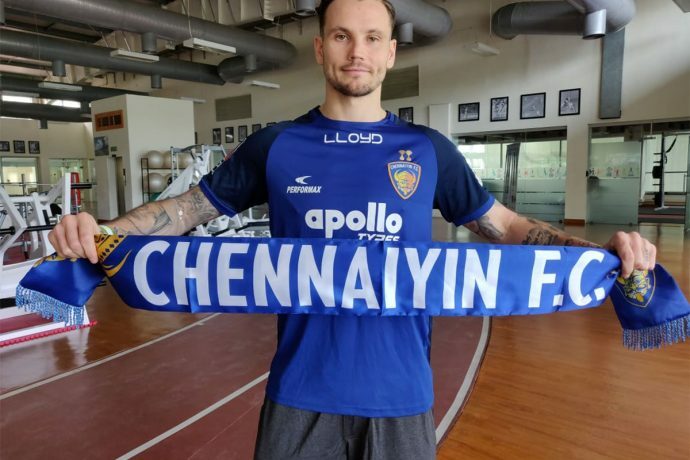 I am looking forward to help the club pick up as many points as possible in the remainder of the ISL campaign and of course there are two cup competitions to look forward to after that,” said an upbeat Herd on arriving in Chennai. “In Chris (Herd), we are adding versatility to our squad with the focus being on the upcoming cup competitions. They will be our top priority and Chris will bring a lot of quality and experience in a vital area of the pitch,” said Head Coach John Gregory on Herd’s acquisition.